Karachi (Thursday, February 15th, 2018): The board of directors of National savings of Pakistan (قومی بچت بینک) is balloting the Rs 1500 Prize bond draw on 15th of February 2018 at Karachi city Punjab. This common draw serial is Karachi for this seventy five Hundred Prize bond. The complete 1500 Prize bond result list February (15.02.2018) will be available on official website of savings.gov.pk on Thursday. 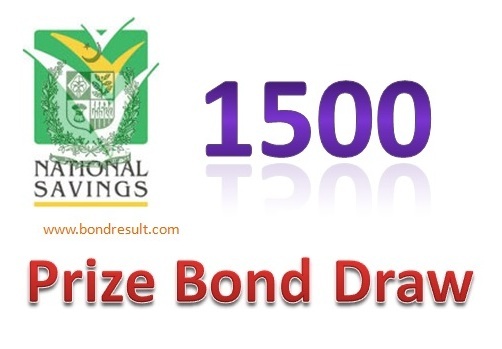 All owners of this high cost denomination can find and search online Prize bond 1500 draw completely here on bondresult. The Pakistan National savings departments have all the legal rights about prize bond schedule and draw updates online for users and so this Prize bond Rs. 1500 Draw 73# Karachi’s full on dated February 15th, 2018 held at Karachi will also be certainly published by www.savings.gov.pk online for the prize bond denomination finders. This Fifteen Hundred prize bond have high cost but prizes are also very high. This is second big amount prize in Pakistan that offers good prizes in first second and third prize category. Prize bond 1500 is a good denomination for high investors like bankers, businessmen’s and all the stockholders to invest. This can yield a good amount for them where your fortune matters. The prize bond 1500 first prize is Thirty Lac rupee that a mind blowing amount for any one and can awake you from dream by listening these little words that you have won this first prize. The Prize bond Draw Schedule for 2018 -2019 reveals that this prize bond have 4 time prize bond draw schedule in a year. You can be a King if you won this first category prize from rs. 1500 prizebonds draw. The second category prize of 10 lac will be awarded to three lucky numbers. The third prize of 18500 amount have 1696 prizes that is also a very nice money amount for prize bond winners by saving bonds. You can buy now rs. 1500 prize bond to enter in this lucky draw and win your own fortune. These complete rs. 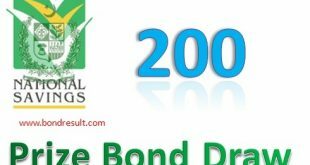 1500 prize bond draw list result February 2018 will be updated here very soon. 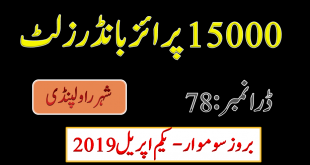 Now check below National savings 1500 prize bond List February 2018 held at Karachi city online.